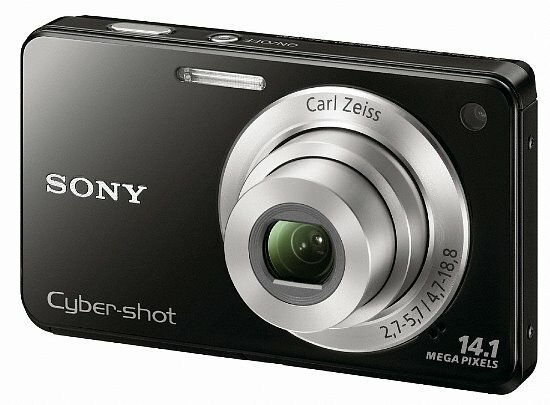 Sony's Cyber-shot point-and-shoot cameras have an all new W-series for 2011. Just announced at CES, the W-series is a budget-friendly line of cameras that still boast a number of advanced features. 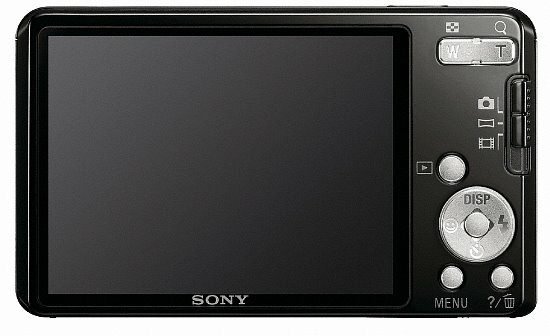 Coming in as the second most expensive (or third most affordable), we have the Sony DSC-W560. It's about $30 more expensive that the DSC-W530 model. In terms of similarities, both features a 26mm wide angle lens with 4x optical zoom and a 14.1-megapixel sensor for high resolution images. But the DSC-W560 has a larger viewing screen (3.0" versus the DSC-W530's 2.7-incher) and adds the capability of capturing 720p HD movies as well as still images. Like all models in the new W-series of Cyber-shot cameras, the DSC-W560 includes Sweep Panorama Mode (which uses a CCD sensor to capture panoramas in one easy "press and sweep" motion), SteadyShot image stabilization (to reduce blur), iAuto mode (which automatically optimizes camera settings for your shooting locales), Face Detection, and Smile Shutter technologies. Built-in help is also available via the "In Camera Guide" software, which allows users to search by keyword and/or purpose to find help topics and ease functionality. Sony's Cyber-shot DSC-W560 camera will be available in silver, black, red and blue this February for around $160.